More than 100 protesters rallied in front of Anaheim City Hall before today’s council meeting as a response to the fatal police shootings, which killed two men at separate incidents. During a protest against police brutality on July 21, Anaheim police fired rubber bullets and unleashed a dog on a crowd that included women and children. 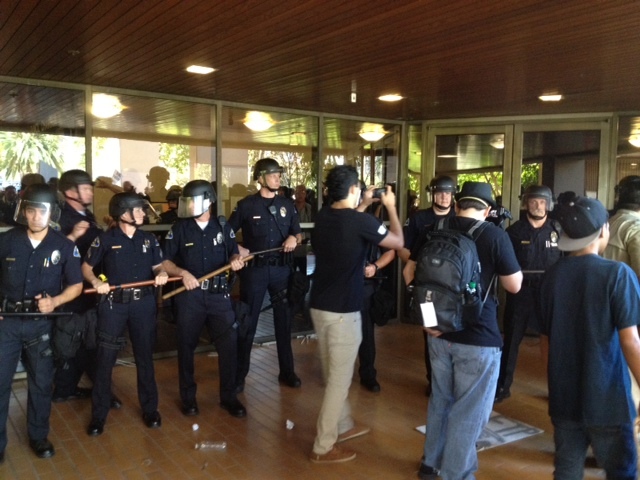 Riot police prevented protesters from entering the council chambers during today’s council meeting. 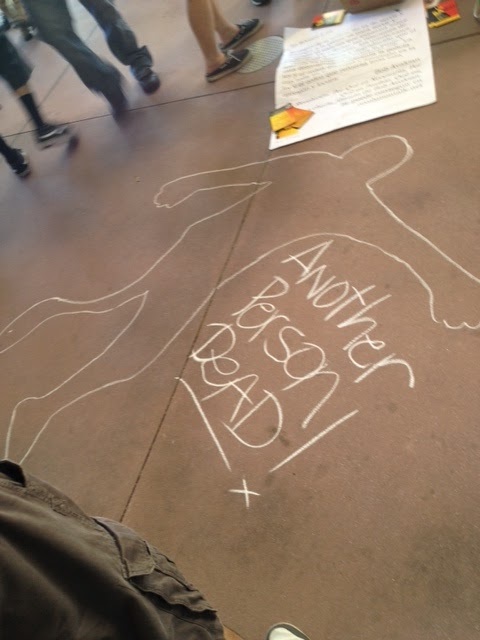 According to KPCC’s Ed Joice, reporting from meeting, the council voted 5-0 in favor of asking the U.S. Attorney’s Office to review the Anaheim police officer involved in shootings which killed the two men. By the end of the night the number of protesters grew to 1000 during the protest that turned somewhat violent. Twenty people were reportedly arrested. While #Anaheim burns, Disneyland sets off its nightly fireworks. Ladies and germs: your Nero fiddles moment.